While the inside of your home may be full of cheer, here are some inspirational outdoor decor to welcome your family and friends. Decorating the inside of our homes makes our spaces warm and cozy, but don’t forget the outside of our homes can be cozy too. 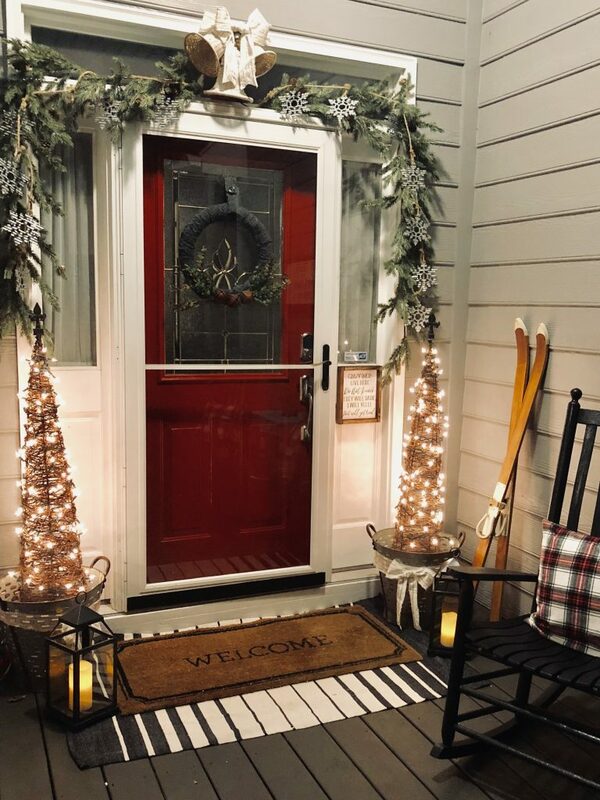 Create a space just outside your door thats not only full of holiday cheer, but is also welcoming to family and friends coming to visit. 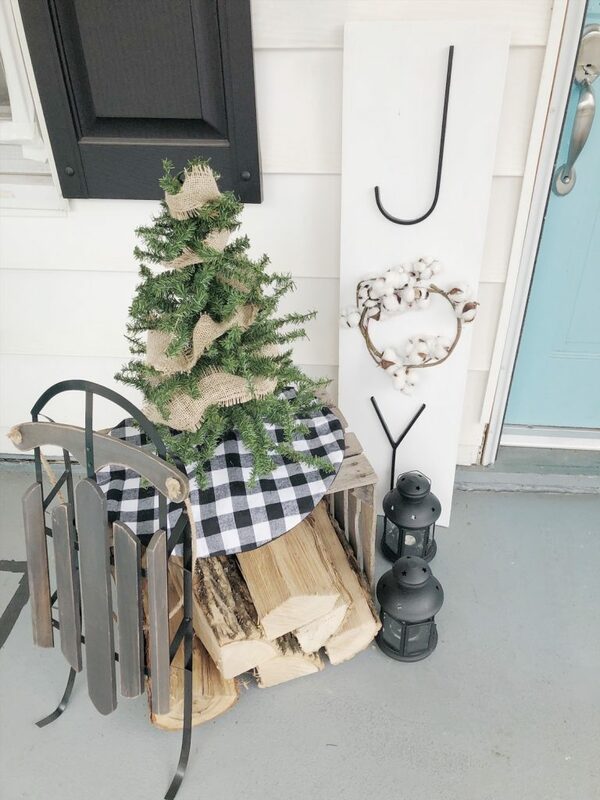 Earlier this week I shared my rustic holiday porch and I am so glad I took the leap and painted our front door! 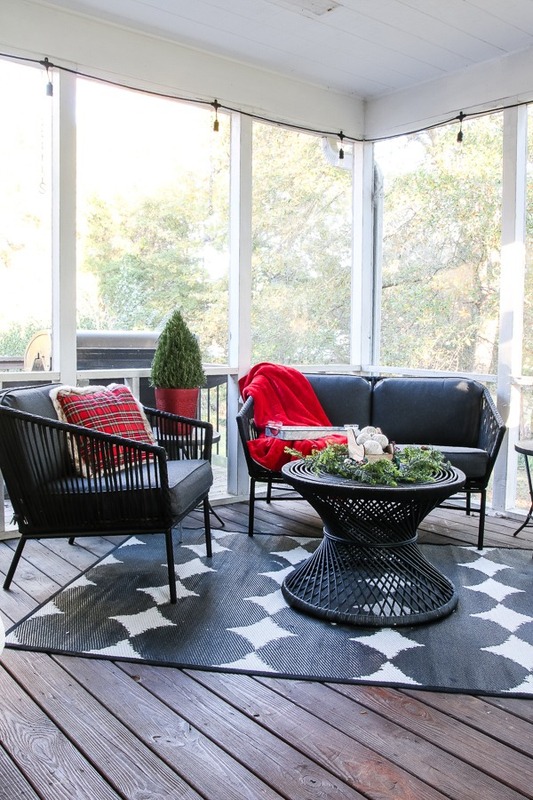 Here are a few outdoor spaces from our Deck the Home Holiday Blog Hop that may inspire you as you decorate your outdoor space! First up is Carmen from Gross to Grandiose who took her back porch to the next level! 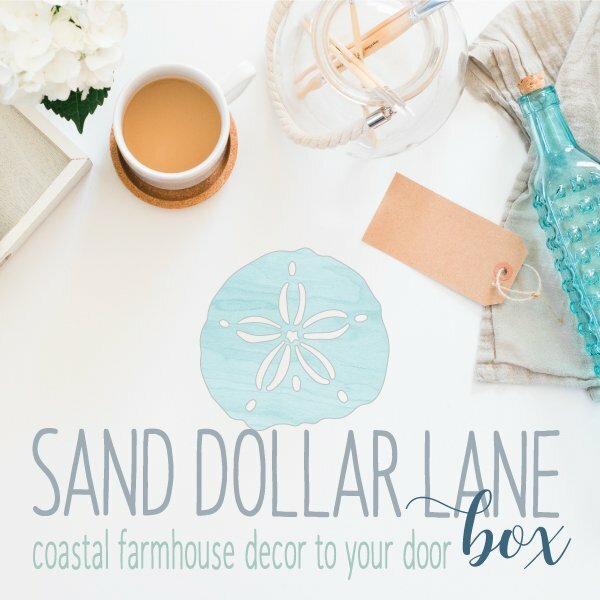 Eileen with Sand Dollar Lane shows us that a real Christmas tree planter can be a sweet addition to your outdoor decor. Love her blush colored ribbon! I am all about decor that not only goes through the holiday season, but well into the new year. 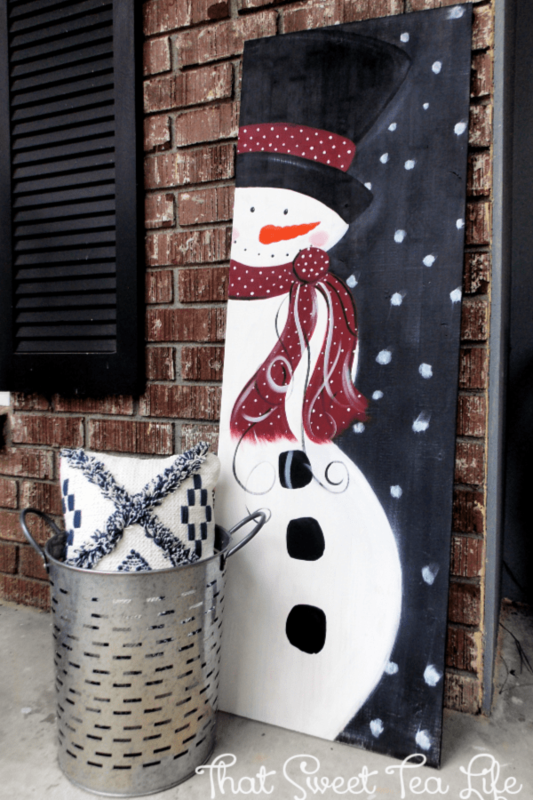 Thea with That Sweet Tea Life shows us how to paint the cutest snowman ever! AND he could make the best handmade gift this holiday season! 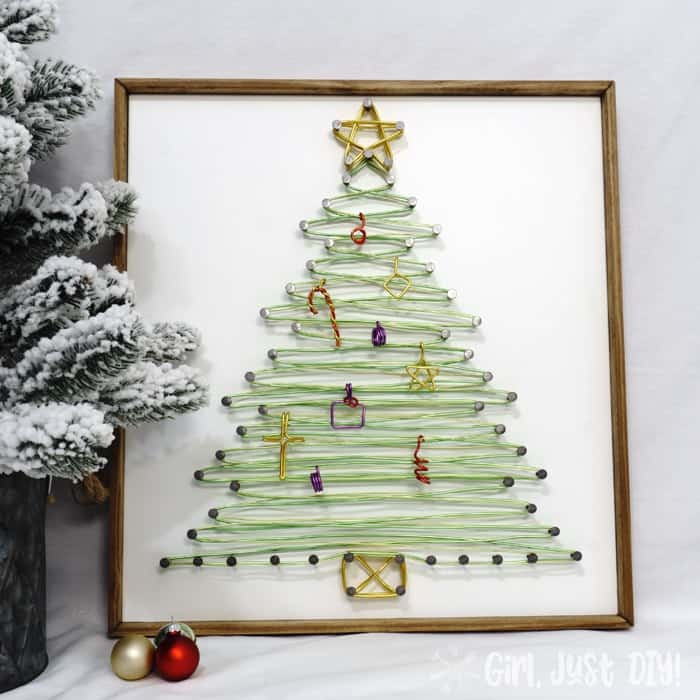 String art is all the rage, but this twist on string art using metal is such a cute idea from Toni with Girl, Just DIY. I have a soft spot for simple rustic porches and Patricia with Renovating Mapleson Manor made the sweetest sign! These were just a few of the awesome ideas from this weeks Deck the Home blog hop. You won’t want to miss out on all of the amazing projects! I enjoyed this blog hop so much!! Thanks for sharing so much inspiration in one place. So many great ideas to pin!! Happy Holidays and best wishes!!! Thank you Dana!! It’s been a lot of fun to be apart of this group! They are super talented! !